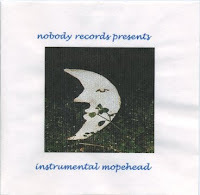 Here is a FREE MP3 download of "If I Were" (click here to download) taken from the Instrumental mopehead CD. Pretty soon you'll have all of the tracks for this disc. "If I Were"...think of the possibilities. "If I Were"....imagine what could be done. Think about "if you were" and realize it. What holds you back? If you're liking the music please let me know.Enjoy the FREE track and please drop me a comment.